It seems crazy to me that most people eat foods high in the wrong fats when they are not eating the meal for the fat. Guilt Free Fat… Now You’re Talking! To truly appreciate what I’m saying you have to adopt the all important axiom of ‘eating for your body and taste’ instead of how most people do it which is ‘eating solely for taste’. That kind of thinking is the complete opposite of conventional thinking but by being deliberate about choosing my fat; I’m in control of my fat intake and the type of fat I’m consuming. It also means I can enjoy my ‘fat’ meal because I know they are the right fats and in amounts which are actually healthy. 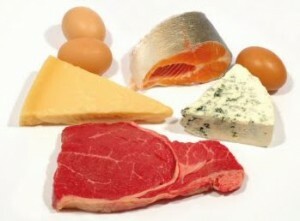 Most people will eat a meal, worrying there’s probably too much fat in it and then feeling guilty about it afterwards! That’s crazy, and it’s the completely wrong way to do it. Here are some examples of how I deliberately choose and enjoy my healthy fats. I love olive oil (always get extra virgin), I think it adds great flavor and texture to my food and I don’t mind being a bit heavy handed, so I’ll cook my meat or eggs with a liberal amount at medium temperatures (see about oils and cooking temperatures below), add it to sauces and even make the occasional salad dressing. Why? Because I know it’s high in unsaturated fats and other great nutrients like antioxidants, which my body needs. I’ll enjoy the great flavor and soft smooth texture it makes without a shred of guilt… and I still remain super-lean. Most nuts are around 50% fat, that’s what makes them so wonderfully creamy and tasty. But if you worry about fat, “50%” makes you want to run in the opposite direction, right? But I know my body needs those unsaturated fats and omega-3 fatty acids and they’re full of many other wonderful nutrients so I put nuts on my morning oats and drop into my fruit smoothie after it has been blended. I’ll even enjoy a handful while watching TV in the evening. Avocados are around 30% fat but I eat at least 1 whole avocado a day in smoothies or with my evening meal as a salad vegetable. It’s the same story, I know they are full of the healthy fats my body needs and bundled with many other important healthy nutrients so I scoff them down without a second thought and completely confident I’m doing my body a favor – no guilt in sight! Some oils have higher smoke points than others, meaning they burn and oxidize at higher temperatures. A high smoke point is a favorable characteristic because when oil begins to smoke, it’s molecules are oxidizing and free radicals form which destroy body cells (free radicals are one of the major known contributors to aging). Coconut oil is getting a lot of attention and gathering momentum as a ‘miracle’ food so I’ve decided we should discuss it here. Several food and health gurus swear coconut oil is a miracle food because among other reasons, in the many places around the world where coconut oil is the principal dietary fat, like Polynesian Islands, vascular disease is very uncommon. This may be true but as yet science has not been able to verify coconut oil’s health benefits. We need to recognize the low occurrence of vascular disease may be due less to coconut oil and more to a non-western diet because vascular disease is also uncommon in Africa where none of the dietary fat is from coconut oil but again, they eat a non-western diet. The FDA recommends against using coconut oil because it is very high in saturated fats (about 90%) which increase levels of bad cholesterol and contribute to heart disease. But there is good argument that many of the FDA recommendations are influenced by the agendas of big business. However both the American Heart Association and the World Health Organization (WHO) and the FSA in the UK also recommend against consuming coconut oil. For now, there is still limited scientific evidence coconut oil is as good as some pundits claim it to be, I don’t want to disrespect those that recommend it because some of them are honorable people that help thousands with their advice, but given the lack of scientific evidence at this time I cannot personally recommend coconut oil because of its high saturated fat level. I’m able to enjoy my deliberate ‘fat’ meals without guilt because I make space for them. By ‘make space’ I mean, I don’t eat junk high in fat just for the taste throughout the day. By being careful to avoid food high in the ‘wrong’ fats, when it comes to enjoying my ‘fat’ meal I know I can eat plenty without eating more than I need. In fact I won’t eat a meal high in fat unless the food contains the right fats and many other important nutrients. When that’s the case I’ll thoroughly enjoy the meal and savor the fat without a single pang of guilt or regret because I know I’m doing my body a wonderful favor. But if you eat a hamburger on a white bun with fries for lunch, you’ve just blown your daily budget for fat and to make matters even worse, they were the wrong kind of fats and barely any other nutrients were present. Don’t blow your fat budget. Instead, plan it and savor it. You can’t imagine the satisfaction and contentment I get from being a responsible consumer, able to take control of my eating, and more importantly, I feel great when I check out my reward in the mirror every morning: a lean, healthy body. Take control for yourself and get the body you deserve! The Very Worst Fats: Trans Fats! We know it’s a good idea to avoid saturated fats because they raise LDL cholesterol in your blood, which is associated with arteriosclerosis and heart disease. But there is one fat that is unnatural and deadly. I’m talking about trans fats (surprisingly, trans fats are unsaturated). Trans fats are extremely rare in nature and those that do occur naturally have been associated with health benefits, unlike the synthetic type. Synthetic trans fats are a result of bubbling hydrogen though unsaturated vegetable oil, a process called hydrogenation, which transforms the oil from a liquid to a solid. Trans fats are unnatural, occurring only rarely in nature and so not surprisingly, your body is not very well equipped to metabolize them. A scientific study published in the New England Journal of Medicine in 2006, found trans fats increase the risk of coronary heart disease more than any other macronutrient in your diet. Even small amounts considerably increase risk of heart attack. It’s estimated 30,000 to 100,000 deaths from heart disease each year in the USA are attributable to consumption of trans fats because they increase levels of LDL cholesterol and other negative effects (its suspected they may even decrease levels of HDL cholesterol, the ‘good’ cholesterol). Of interest for the person like you that is trying to lose weight are studies in monkeys conducted at Wake Forest University School of Medicine that have shown eating trans fats increase total body fat compared to a similar diet consisting of only unsaturated fats. You get that? Same amount of fat in grams consumed, but those monkeys eating their fats as trans fats, got fatter than those eating unsaturated fats. But not only did the monkeys put on weight (mostly around their abdomen), their existing body fat also redistributed to become belly fat. 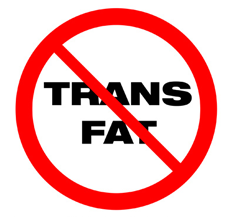 So avoid trans fats as best you can because not only are they extremely unhealthy, they also contribute to belly fat. So how can you tell that it’s trans fat? Trans fats are rarely listed in the ingredients as ‘trans fats’, especially given the bad press they’ve received in recent years. Commercial baked goods contain more trans fats than any other food type. Even packaged cake mix from the supermarket has them. So the next time you go grocery shopping, be a responsible consumer. Don’t subject yourself and your family to something that has been proven harmful to your health. Avoid trans fats at all costs. In the next post, we’ll talk about responsible choices and taking control of your fat consumption. Later! In the last post, we’ve already discussed that unsaturated fats are the preferred type of fat, but you still want to eat them in moderation because of their high calorie content. However, there is one type of unsaturated fat you’re probably not getting enough of. I’m talking about a family of essential fatty acids called omega-3 fatty acids, which you need to obtain from food because your body cannot synthesize them from scratch. The average American eats a diet deficient in omega-3 fatty acids (Elizabeth Lipski PhD., Digestive Wellness). Stimulates the secretion of leptin, an important hormone in weight control (more on leptin later). So where exactly do you get omega-3 fatty acids? 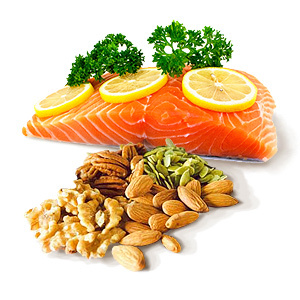 Not all fat is bad, and Omega-3 Fatty Acids are definitely beneficial for your body. In the next post, we’ll talk about the very worst fats you can eat: TransFats! By weight, fat has more than double the amount of calories contained in protein and carbohydrates. This is probably why many people believe that fat is harmful to the body, especially when you’re trying to maintain a certain weight. But not all fat is bad. In fact, a diet too low in fat isn’t healthy because fat plays many important roles in your body including the production of hormones, storage of fat soluble vitamins and shock absorption. On the other hand, too much fat is also considered unhealthy and linked to many diseases including heart disease, obesity and diabetes. You need fat and couldn’t avoid it totally even if you wanted to because most foods contain some fat. Instead, limit your fat intake to 25% or less of your daily calories and as much as possible, eat only unsaturated fats. You’ve no doubt heard of saturated and unsaturated fats. Let me take a moment to explain the difference. Unsaturated Fats: are fatty acids that have at least one double bond in the fatty acid chain. For every double bond between 2 carbon atoms, there are two less hydrogen atoms than could potentially be present. Saturated Fats: have no double bonds between carbon atoms and so contain the maximum number of hydrogen atoms. That is, the molecules in saturated fats are ‘saturated’ with hydrogen atoms. You’ll often hear advertisements saying a food has no saturated fats or only has unsaturated fats. 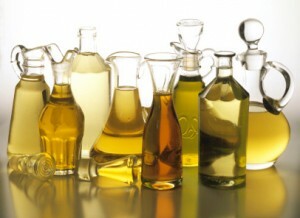 By now, most of us get it that unsaturated fats are preferred, but have you ever wondered why? It’s because unsaturated fats don’t increase LDL cholesterol levels while saturated fats do. LDL (Low Density Lipoprotein) cholesterol is also known as the ‘bad’ cholesterol because it builds up on the inner walls of blood vessels and can cause blockages to the brain and heart (arteriosclerosis) which in turn may cause strokes and heart attacks respectively. HDL (High Density Lipoprotein) cholesterol on the other hand has shown to decrease the risk of stroke and heart attack because it transports cholesterol back to the liver where it can be processed for excretion. There are a few features which make it easy to distinguish saturated from unsaturated fats. Now that you know the difference, you can make the right and healthy choices to help you lose weight. Unsaturated fat is still the most preferred type of fat, but moderation is still the best advice to follow as they are high in calorie content. The point is, whenever you have to eat fat, stick with unsaturated fat. Strike a good balance for a healthy lifestyle. In the next post, we’ll talk about Omega-3 Fatty Acids, the best type of fat. 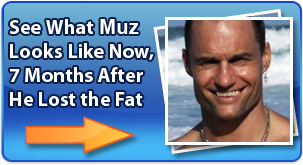 More on fat and the ways it can help you lose weight next time, so stay tuned!